This pair of earring I forged out of 12awg sterling silver and hard soldered the ear wires. These have been polished to a high luster. 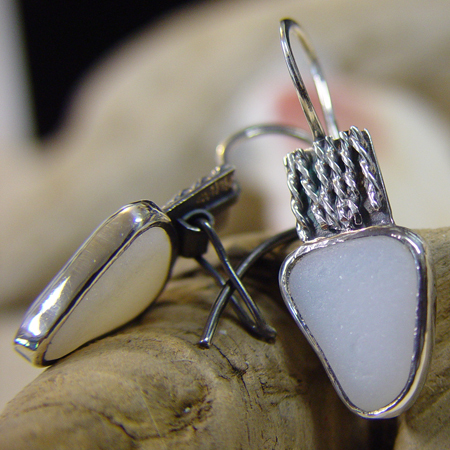 The sea glass is white, but looks light blue when wet, and amber when looked at through the light--a special treat! Measurements: 1.6 inches x .5 inches.